We are a leading Manufacturer & Exporter of Pre Engineered Buildings such as Pre Engineered Building System, Industrial Pre Engineered Building, Warehouse Shed Structure, Pre Engineering Building, Pre Engineered Building Systems, Secondary Framing System and many more items from India. 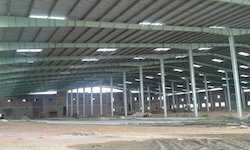 We are leading service provider of Latest Project Pre Engineered Buildings Service and our service is of good quality. This Latest Project Pre Engineered Buildings Service is provided by us to customers as per their requirements. 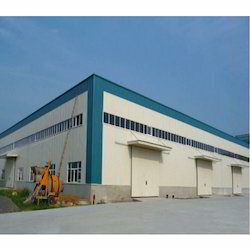 These Latest Project Pre Engineered Buildings Services are suitable for construction applications and industrial applications. We have established ourselves as leading manufacturers, traders, distributors, exporters, wholesalers and suppliers of Prefab Structure in the market at the present scenario. Steel portal frames are used for sheds, the portal frames support the external envelope of the building. Cladding systems are formed from profiled coated steel and incorporate insulation to meet building regulation requirements. As the cladding systems typically span 3m, they are supported by secondary members, which transfer the loading to the rafters and columns. For the roof, these members are called purlins; for the walls, they are called cladding rails. 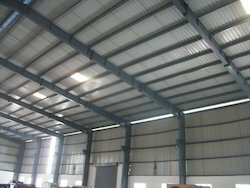 Our company has established itself as leading manufacturer, trader, wholesaler, distributor and supplier of Pre-fab Structure in the market at the present scenario. Cladding systems are formed from profiled coated steel and incorporate insulation to meet building regulation requirements. As the cladding systems typically span 3m, they are supported by secondary members, which transfer the loading to the rafters and columns. For the roof, these members are called purlins; for the walls, they are called cladding rails. Steel portal frames are used for industrial sheds, the portal frames support the external envelope of the building. 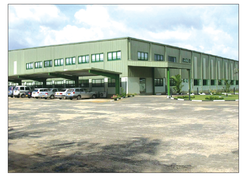 Being a well-established organization, we bring forth an excellent array of Pre Fabricated Buildings. 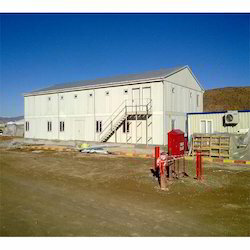 These buildings are considered ideal for laying out structures for storage, manufacturing and temporary shelter. Offered buildings are thoroughly tested by our quality experts at our end, in ahead of their final delivery so as to ensure its flawlessness. Patrons can avail these buildings at affordable prices. As an ace manufacturer, trader, wholesaler, distributor, importer and supplier, Prefab Structure emerge as a product that is high-on performance and comprises of well-tested features. They are used in the construction of factories, warehouses and other low rise buildings. 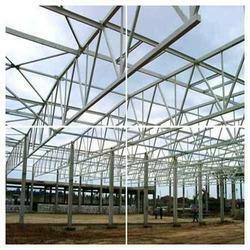 Steel portal frames are used for industrial sheds because they are capable of spanning large distances. Cladding systems are formed from profiled coated steel and incorporate insulation to meet building regulation requirements. These are made available to the customers at industry leading rates. These are provided as per the set industry norms and guidelines.